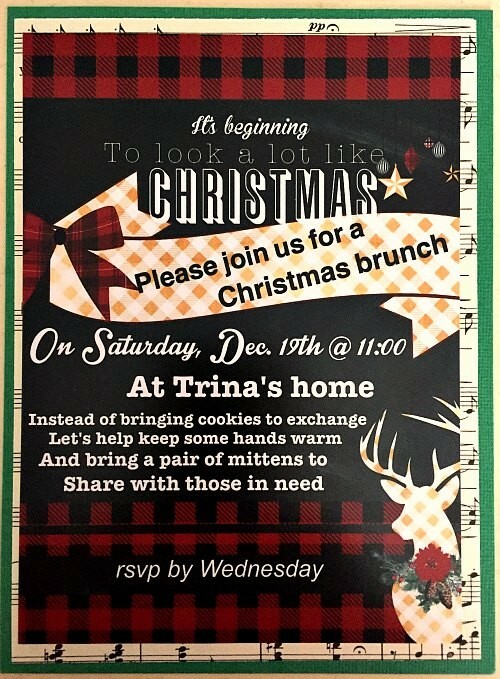 Throughout the Christmas season I host numerous parties at our home but it’s no secret that the one I look most forward to is my annual Christmas Brunch. It’s the time my home is filled to the brim with laughter and love from some of my closest friends. 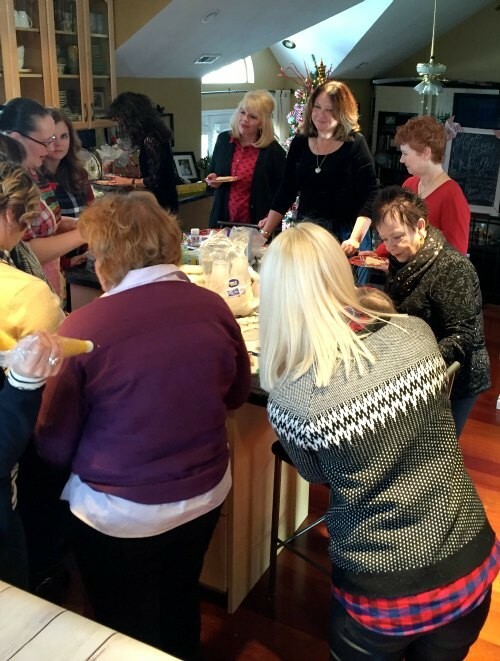 I began this tradition years ago as a cookie-exchange party which has evolved into a “Christmas Brunch Tea Party”. 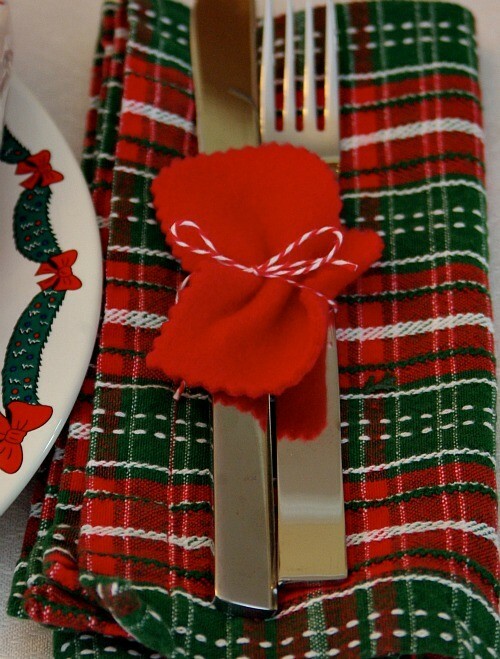 Each year I try to come up with a different theme, just to help with some of the fun in decorating and entertaining, although if truth be told its just a way for me to use some creative energy. This year I chose MITTENS as the theme. 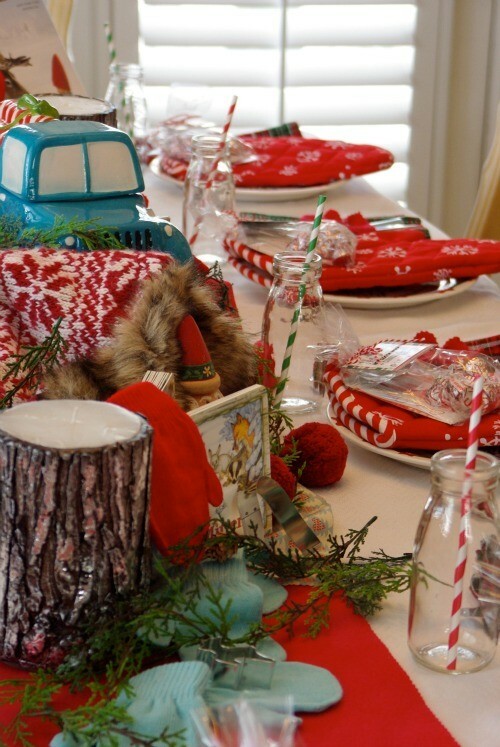 As I’ve mentioned before, I normally dream up the theme months in advance which gives me plenty of time to collect and brainstorm how I want to decorate, accessorize, and entertain for the party. The invitations were created and mailed out, giving a little hint to the theme. I wanted to have a Nordic kind of look, giving off the feel of putting on mittens and playing out in the snow. So I put away my more formal table runner and bought a few yards of red felt material and cut myself a new little runner. Gathered a few little red and blue mittens (which would add to our donations later). 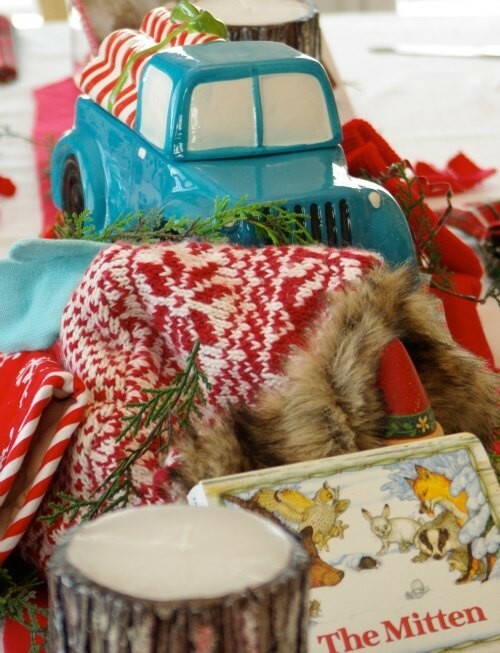 Found a new “old fashion” cookie jar (@ world market) which was perfect for the centerpiece, added some picture books, a knitted hat, some candles and I was good to go. 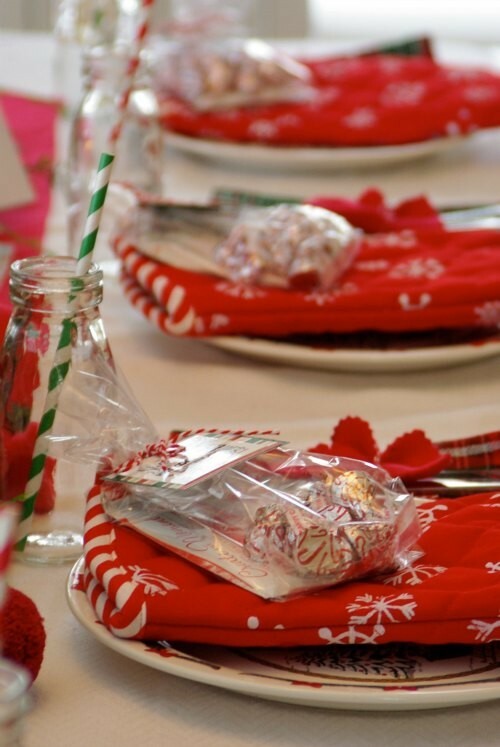 For the place settings I kept it simple, one Christmas plate was all they were going to need, therefore to play up the theme I placed their party favors on each of their plates. 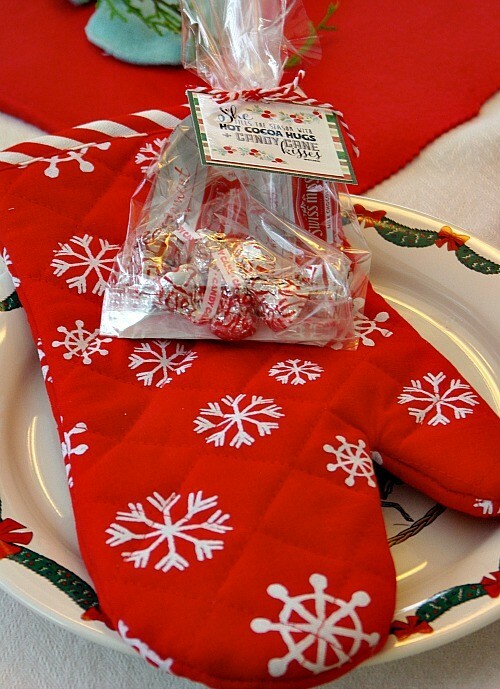 ( A Christmas oven mitt with a fun little card and treats). After it was all set I knew it needed one other simple little “mitten” touch so I quickly cute out individual mittens from some left over felt and tied the silverware together. And here is our nordric little setting. Since it all began as a cookie exchange I simply could not leave this part out. I had two wonderful cookie elfs (professional cookie bakers) come and join us for the gathering. 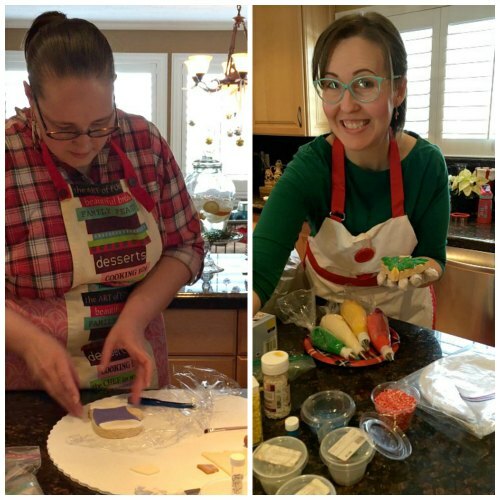 These two incredible sisters (whom I seriously want to adopt) graciously accepted my offer to come and demonstrate how to decorate sugar cookies. Oh, were we in for a treat! Not only did they bring their decorating magic but they also baked the most delicious and talk about huge sugar cookies I have ever seen and tasted. 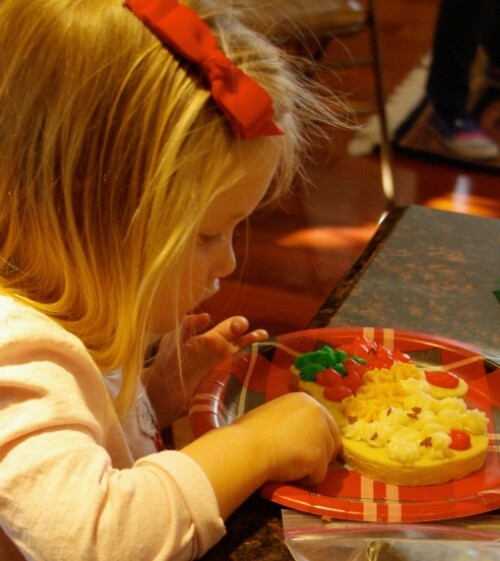 Giselle makes her own cookie cutters and molds, which makes it so much fun to decorate with, especially when it came to using her homemade marshmallow fondant (Yes, homemade fondant that actually taste yummy). We were taught how to pipe correctly, decorate with fondant, and white chocolate molding, and even painting. Do these look yummy or what? I know I had a great time and I believe each guests found themselves in cookie wonderland. As each finished their decorating we took a fun memory picture with a instax camera for them to take home. I only remembered to capture a few with my other camera. Although I did capture a few of Molly carefully decorating and then telling her mother “No” don’t touch my cookie, I can eat it myself”. 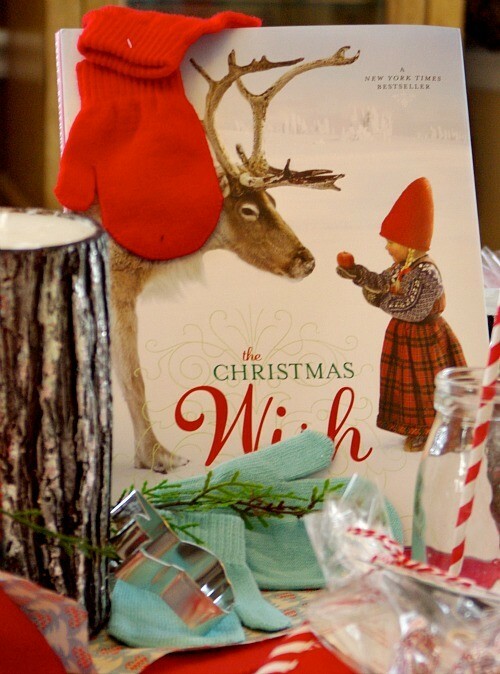 When the party was over and each guest had left I was overwhelmed with emotions when I looked in the Christmas bag I had at the door for the collection of mittens, it was literally piled to the brim and over flowing with warm and love. There’s going to be some warm and grateful little hands this winter. As always my friends, thanks for dropping by. May you have a most wonderful day and a very Merry Christmas. Sending you the very brightest of blessings this Christmas! It’s always a pleasure to drop by. Thank you Sue! So good to hear from you. Blessings right back to you as well. Wow! I don’t know how you manage to outdo yourself each time but you do. I especially love the idea of the oven mitt as a take home gift idea. 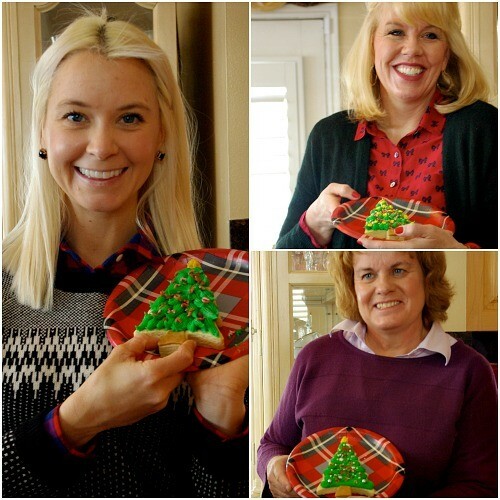 How fabulous that you got some professional cookie elves to help out! 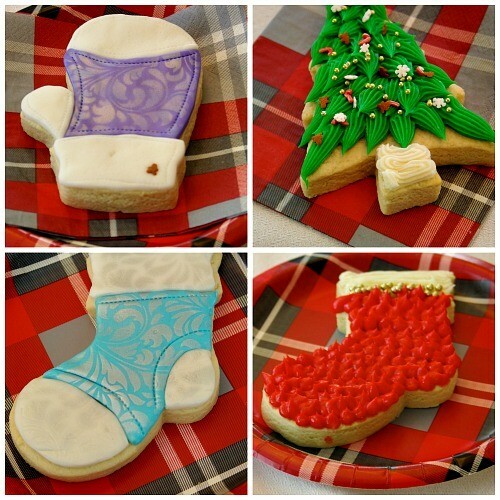 The cookies look fabulous! It all looks like so much fun. I wish I could have been there! I wish you were here as well, you would truly fit right in. 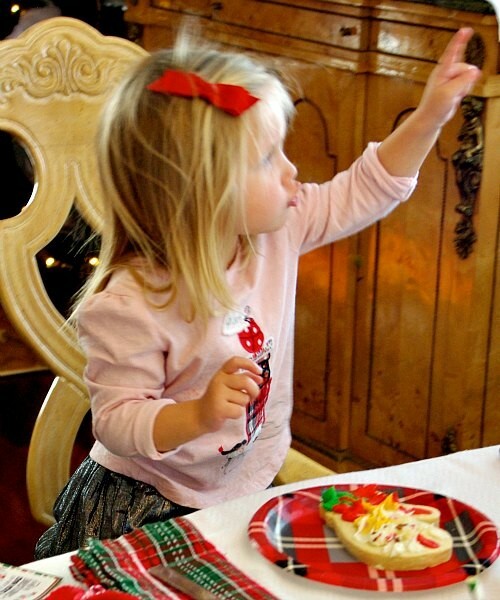 And yes, having the cookies elves made it so much fun (and much easier on my part). It’s hard to believe this is real – everything is so magical, Trina! The details are brilliant. 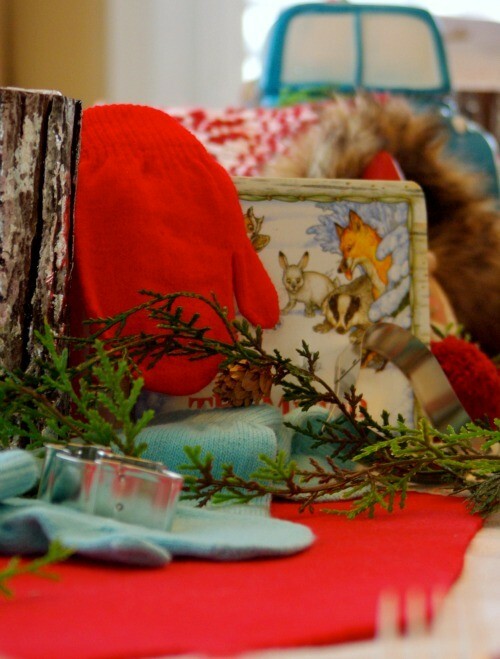 It’s the perfect setting and a wonderful concept, especially reading how the bag was full of little mittens afterwards. May you and your family have the very best holiday. It was such a treat meeting you and your husband in the summer. I hope we can meet sometime again in the new year! Melanie, the magic arrives due to the wonderful guests (wish you could join us someday). I had a most enjoyable visit to a new “road home” (homeless visuality) while delivering the mittens, I can’t wait to return. It was truly y pleasure meeting you this past summer as well. I believe I may be coming up in the next month and if so I sure hope we can get together for a day. 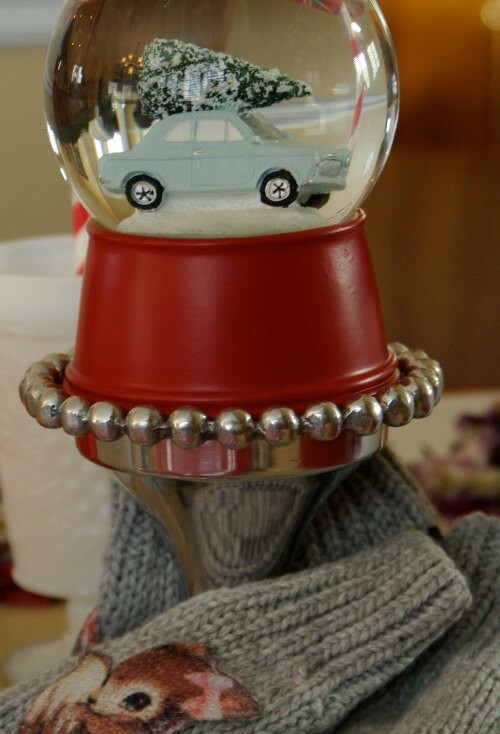 Hope you’re truly enjoying your holidays. What a great theme, and what a fun thing to do the Celebrate! I adore all of these photos, they truly speak to me with joy! Those elves are awfully talented, i am in awe of the looks of those cookies and suddenly very hungry! Your table is inspirational,as always, and this looks like so much fun. Family and friends over for the holidays and any special occasion is a treat! Good idea for the camera too! 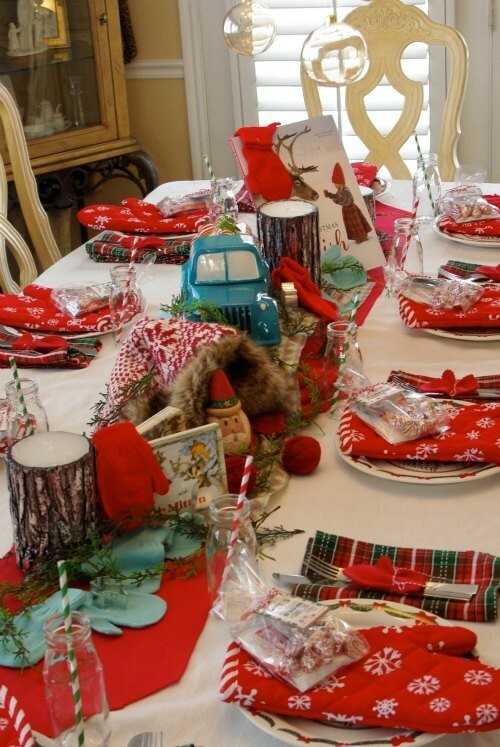 I am not sure how I missed this post because I always love your parties and tablescapes but this is beyond words. and now I think I have to pin this and I may steal/borrow some of your ideas for next year.